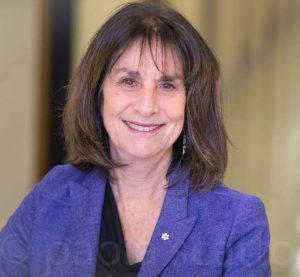 Ellen Bialystok is a Distinguished Research Professor of Psychology and Walter Gordon Research Chair of Lifespan Cognitive Development at York University, and Associate Scientist at the Rotman Research Institute of the Baycrest Centre for Geriatric Care. She is an Officer of the Order of Canada and a Fellow of the Royal Society of Canada. Her research uses behavioral and neuroimaging methods to examine the effect of bilingualism on cognitive processes across the lifespan. Her discoveries include the identification of differences in the development of essential cognitive and language abilities for bilingual children, the use of different brain networks by monolingual and bilingual young adults performing simple conflict tasks, and the postponement of symptoms of dementia in bilingual older adults. Among her awards are the Canadian Society for Brain Behaviour and Cognitive Science Hebb Award (2011), Killam Prize for the Social Sciences (2010), York University President’s Research Award of Merit (2009), Donald T. Stuss Award for Research Excellence at the Baycrest Geriatric Centre (2005), Dean’s Award for Outstanding Research (2002), Killam Research Fellowship (2001), and the Walter Gordon Research Fellowship (1999). In 2017 she was granted an honorary doctorate from the University of Oslo for her contributions to research. The Lifespan Cognition and Development Lab is a cognitive neuroscience laboratory in the Department of Psychology at York University directed by Dr. Ellen Bialystok. Our research examines the effect of bilingualism on cognitive and linguistic processing across the lifespan, including both healthy and patient populations. We use behavioural and neuroimaging methods, including electroencephalography (EEG) and magnetic resonance imaging (MRI) technology to investigate the effect of diverse language backgrounds on cognitive and brain outcomes.